We want you to feel like you’re a part of our family! Every patient is treated with courtesy and respect. “Only The Power That Creates Can Heal” – Chiropractic Proves It! Are you looking for a Canton Chiropractic Center where you can find the right chiropractor to help you fulfill your health goals? Unlike other conventional medicine practices, which focus on treating diseases or illnesses as they occur, chiropractic care offered by Shiepis Clinic Of Chiropractic emphasizes on improving overall health and wellness in an effort to reduce your risk of pain, diseases and illnesses. Given the option, many people would prefer to be healthy and avoid all types of illnesses. Chiropractic care can help you reach your goals when it comes to health and wellness. There are a lot of individuals who turn to chiropractors for care and health management. The practices associated with chiropractic care is said to encourage good neural plasticity. This means that babies and young children should visit a chiropractor if their parents want to enhance their brain and nerve development. Services provided by a chiropractor in Canton can also improve a child’s ability to concentrate, alleviate digestive problems and even help manage conditions such as asthma. Chiropractic care is also said to help improve the immune system of individuals. 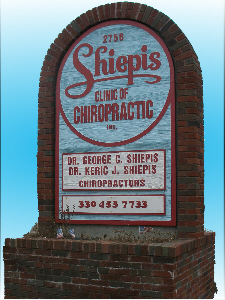 Our professional team at Shiepis Clinic Of Chiropractic values the health of all our patients. We strive to provide excellent patient services and the utmost care. If you have any chiropractor related queries or concerns, please do not hesitate to get in touch with us. This is a procedure where a trained specialist will apply sudden force to a spinal joint, either with the use of their hands or an instrument. The goal of this type of service is to correct any structural misalignment and improve the physical function of the body. When there is stress in the spinal cord, the body will experience moderate to extreme pain along with other symptoms. Spinal decompression is the non-surgical method of relieving the spine that uses chiropractic tools. This type of therapy includes deep tissue massages which are excellent for those who are suffering from fibromyalgia, osteoarthritis and back pain. Massage therapy offers a unique approach to managing pain, a condition or a recent injury. We at Shiepis Clinic Of Chiropractic teach our patients special exercises which can help strengthen or correct any irregularities that might cause pain. These targeted and corrective movements can help alleviate pain caused by past injuries. A lot of our patients seek our help when it comes to managing pain and other symptoms which may affect the quality of their life. We give our patients a plan to improve their health through guided coaching including a health and activity plan. At Shiepis Clinic Of Chiropractic, we are wholly dedicated to supporting patients in achieving their full potential through top-notch chiropractic care for the family in Canton. We also do this by empowering our patients so that they will be able to lead an ideal lifestyle which will help improve their overall health. Physical therapy, nutritional plans and lifestyle advice are only some of the things offered here at Shiepis Clinic Of Chiropractic. There are too many people who don’t think twice about their health until something goes wrong. Don’t treat a condition when it is already there and is affecting your lifestyle. Put a focus on prevention and aim to improve your overall health. If you have back pain, a chronic health condition or you just want to improve your well being, contact Shiepis Clinic Of Chiropractic today. We can help you learn more about modern chiropractic care in Canton and how we can help you with your condition. Give us a call today, we would love to hear from you.